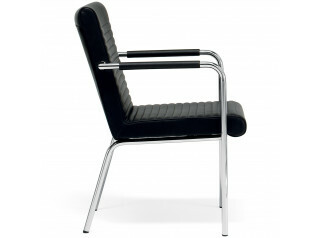 Base Armchair designed by Thore Lassen. 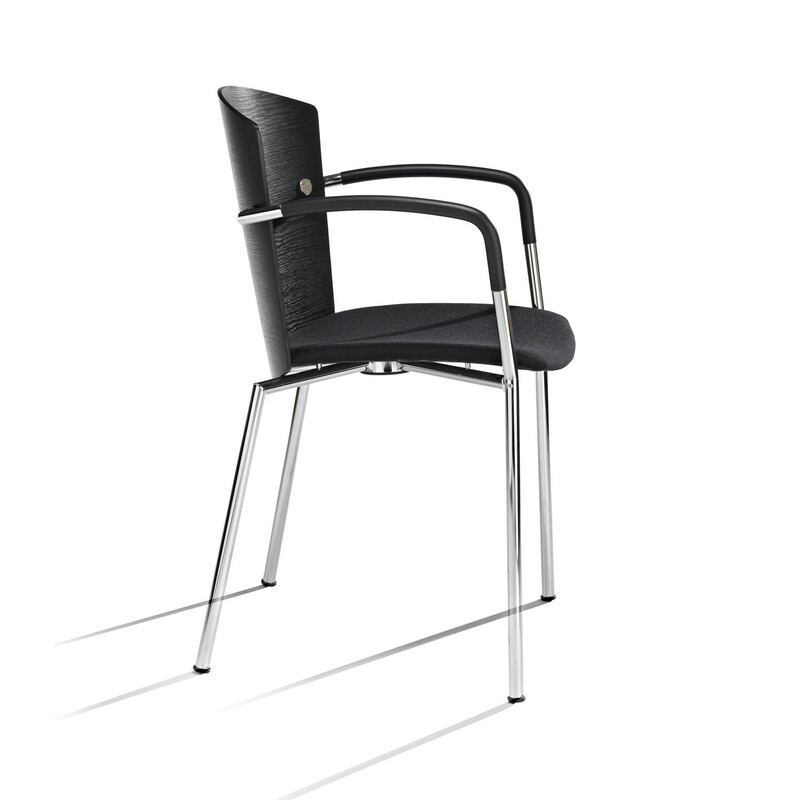 The design of the Base Armchair offers a combination of strength, elegance and comfort. 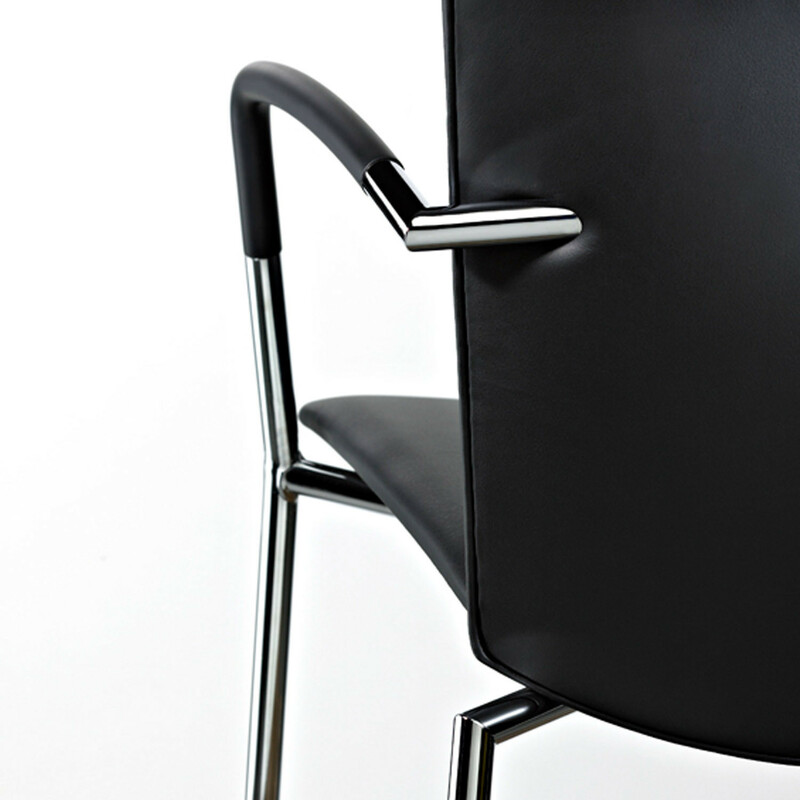 The dual-curved seat, inviting profile of the back, combined with armrests in cast polyurethane make the Base Chair from Randers+Radius the ideal platform seating solution for meetings, conferences, dining and for the comfort of your guests. 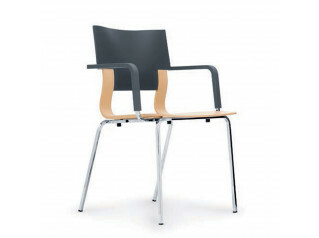 The Base Armchair is stackable (up to 7 chairs high from the floor) and is available with fully upholstered seat and back or, as an alternative, with a veneer back that matches the tabletops in this series. 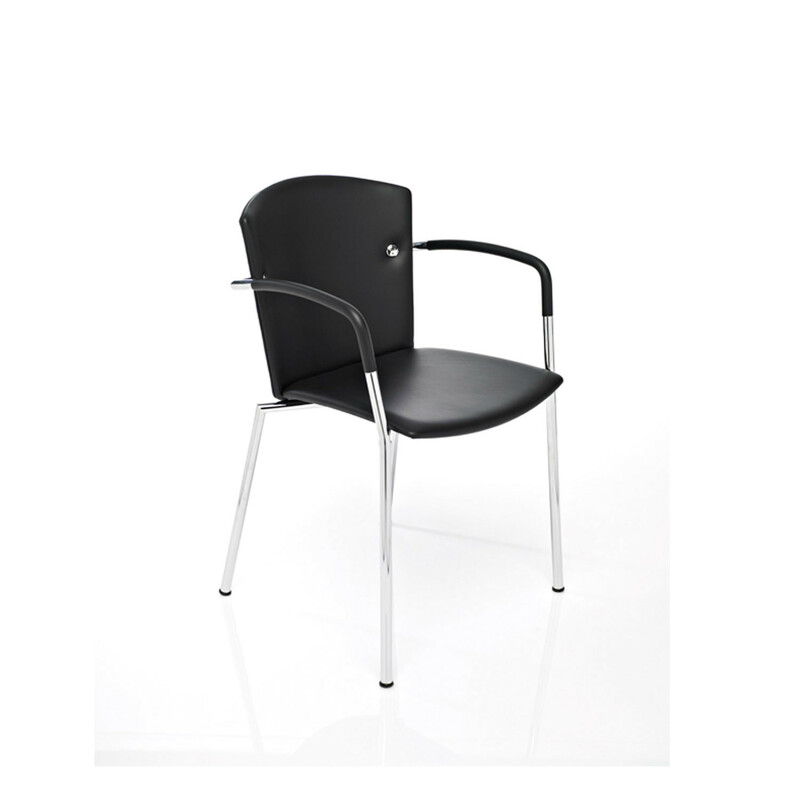 The characteristic steel structure is made in chromium plated steel and this meeting chair also comes in a special version with wheels. 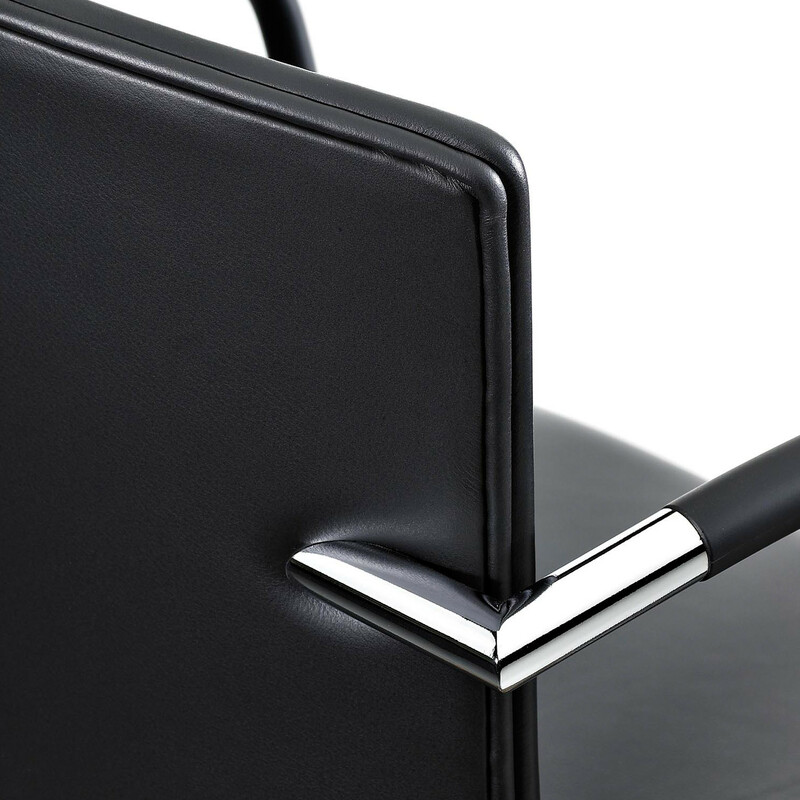 Choose from chrome or satin chrome with the arm rest in PUR foam black. 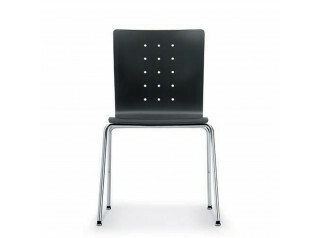 You are requesting a price for the "Base Armchair"
To create a new project and add "Base Armchair" to it please click the button below. 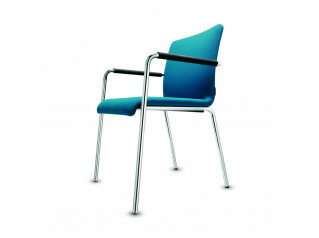 To add "Base Armchair" to an existing project please select below.